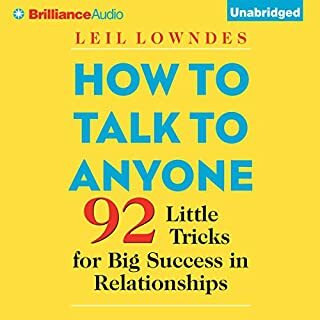 At first I was hesitant to buy this book as I have read several self help books like Today Matters, Awaken the Giant Within, etc. And I just didnt want to buy another one as after a couple of books the information in them starts getting repetitive and the truth is if you actually do what is in one book it will be more than enough. The only problem is that we read a lot and do not persist in doing what we learned form the book...or at least thats the case for me. But I bough this book anyway as it seemed different and the reviews on it were good. It was worth it. In the book, the author talks about habits and how to create new ones and stick to them. He doesn't tell you do this and that to be more productive, rather he tells you how to craete habits and then start doing them naturally without effort or thinking...whatever that habit is. He provides scientific evidence that when an act becomes a habit, your brain does less work to do it! And so to change the bad habits that you have, you will not ignore the cue that drove you to that old habit but rather you will act diffrently. In other words, you will satisfy your craving in another way as ignoring it will only solve the problem temporarily and after a while you will go back to your old habits again. And so you will keep the cue and the reward but change the routine in the middle....but first you need to see what you were really craving. Was it really that chocolate bar you were craving or were you bored at work and wanted a distraction? If it was boredom, then go and socialize instead. Like this you didn't ignore the cue (boredom) or the reward (getting out of boredom) but you simple replaced the bad habit(chocolate) with a good one (socializing). But he then states that usually people create habits and stick to them until a crisis or pressure comes. At that moment, people usually go back to their old habits mainly because they do not believe in the new system or the new habit. And that adds the fourth element of creating a habit which is belief - belief in the habit and in something bigger - like God. Believing that there is a God or that there is a higher power that will take you through this hard times is essential to keep you going on and not falling back. This will be specially usefull in bad habits like drinking. He then states that people usually try to change everything at once and thus do that for a little while and then get overwhelmed and return back to all their old habits. And so to stick to a habit and change your life, you need to select a key stone habit. A key stone habit is a habit that when you change it, all other habits will automatically change. For example, if you write a daily food journal - just writing what you eat, you have not decided to eat less or anything else - just writing what you eat down will eventually make you watch what you eat and change it. Consequently, by just focusing on this one habit you encourged other habits. However, you will not be overwhelmed by a sudden lot of change. He then talks about grit - which is to keep walking towards your goal for years inspite of challenges and obstacles, and regardless of how long it takes you to achieve it. He says that will power and self discipline are the most important factors for success - not IQ or anything else. That will power is a habit too. That it is a muscle that can be excercised, that when you have will power you start to change how you think. That you have to practice focusing on goals, writing plans and identifying simple cues and obvious rewards. For example, you should write a plan on how one would act in a specific situation. Specifically what you would do when things go wrong or get tough. He also talks about crisis and how people are more open to change during crisis and that this will be a good opportunity to change social habits. 1. Decide to work hard. As it a lot of hard work and will not come easily. That habits are what you choose them to be. That they are the unthinking choices that we make everyday. By making them visible we can change them. Also, he backs up all this by providing examples and scientific evidence. Some aspects of this book are great. It is a real discussion of habit, and techniques to change it. The anecdotes get extremely annoying. The author jumps from one story, to another, and then back again. It lacks a summary of the main point of each chapter, which would really help drive things home. In one chapter I listened to a discussion of brain surgery and a a blow by blow detail of a big surgical error. This story was then displayed as an example of negative habits. That sounds OK in theory, but it took the author twenty minutes to get to the point. I felt like most of the meaning of the book got buried in the examples, and there was no clarification on the meat of the information. Alchemy, finally . . . 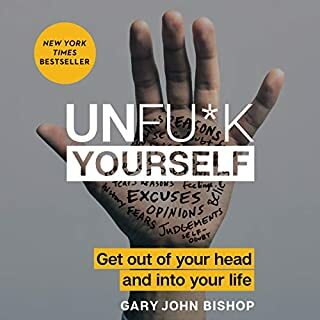 I got this book because, after years of having unusually high levels of self-discipline, I seemed to lose it (the discipline) after three major surgeries that resulted in a years' long recovery period. What happened, I thought? It wasn't that I didn't want to accomplish more goals; in fact, I have alot I wanted, needed, to do. So I began to read about HABITs. 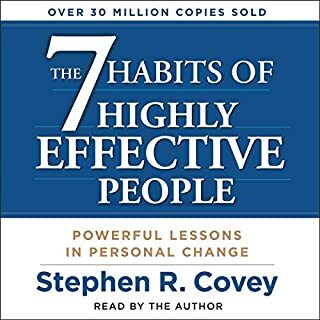 This book, The Power of Habits, is worth the read. And yes, there is a solution. Researchers used to believe that the ability to be 'self-regulating' , e.g., not eating that tempting cookie, was merely a skill. Then after a decade or so more of studies, researchers found that habits are not only triggered by something in our lives, but that once we become aware of our personal 'triggers' that we can 'swap' the bad habit with a healthy one. Trigger-Response-Result. Of course, the goal is to create healthier, more productive habits. So how do we do that. And that's what you'll learn from this book. Everything from seeing how the brain works, how that understanding helps our process of changing habits, how to use this info if we're a parent, coach, CEO, there are case studies for Everyone. And they're really quite fascinating. About the obstacles Michael Phelps had to overcome, the positive habits his coach had him focus on to help him to relax, since all Olympian athletes have perfectly formed bodied (for their sport, at that level, so it was all about calming the mind, pretty much). And that case study was compelling to read. Also one about a well-known CEO of Alcoa, who used this info to change the entire process involved at Alcoa, in a most clever way (while getting everyone to hop on his bandwagon, which we know is virtually impossible at the corporate, heck, the family level!) Those are just two of the many references to specific situations that could be applied to your own personal/professional lives. The point being, creating a new habit, or swapping a unhealthy habit with a healthy one (i.e., people who start exercising may reduce smoking); or people who start keeping a food journal one day per week, lost twice as much weight as the people who didn't (keep the journal); these are just of few of the studies which are fascinating. 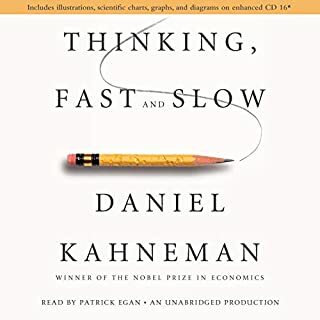 The beginning of the book spends maybe a bit too long on the guy who lost his memory and what they did to help him (it's related to the brain and referring to past habits), yet once you slog through that, you'll see how important it was and the rest of the book goes much faster. Change one habit in your life and, as this book shows, it'll have a ripple effect, a positive affect on creating more and more positive habits throughout your life. Support, by the way, is also important factor for anyone wanting to create new habits; so make your life easier by finding just one person who's interested & committed to meeting for a half-hour a week, 15 minutes for each to discuss solutions, what are your challenges and how to surmount them. 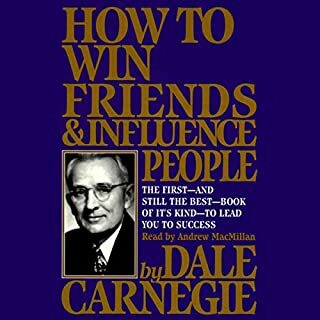 It'd also make an interesting blog, for anyone who wants to change something in their life while discussing the ideas in this book and how you're applying them (to your situation). Help others while helping yourself. Or as the saying goes, "When you help another to get her canoe across the river, you also end up being across the river too." Or something like that, ha. Back to The Power of Habit. Yes, we all have triggers in our life because the feelings that cause 'triggers' to overeat or smoke or drink, etc., are universal. We all feel these feelings. It's when we isolate, which many do, that our triggers may result in these unhealthy Responses and Results. (The book called Toughness talks about building up 'toughness', as if that's a muscle too. It's not as good a book as this, is mostly sports oriented, but well worth it for anyone realizing how important 'mental toughness' is.) The book, The Power of Habit, is also about building up a form of 'mental toughness', teaching us that, yes, we can use this information to respond to the difficult things/feelings in life IF we learn the skill and practice so as to strengthen the muscle. Feelings that are hard to feel, such as loneliness, anxiety, stress, etc., that, in large part, is what this book is dancing around, without focusing directly on 'feelings'. Learning how to respond to our life in a way that's healthy, instead of destructive.This book explains how the brain works, illustrates with well-known people and case studies, and offers practical solutions for a wide variety of situations. Yes, it's definitely worth getting, and learning, again and again, until we 'get it'. As long as that takes. The material is arranged in an easy-to-follow order and the narrator is pitch perfect, as well. Want to change your life? It's about taking self-responsibility. And this book shows that it's not only possible, but feasible. Support is good, maybe necessary. And the more you/we all bring our best Self to the table, the more we'll all be able to contribute. It's about living life with meaning, not at the mercy of our parents' bad habits or our own. Yes, we can have more control over our lives. And isn't that alot of what happiness is. To make a difference, to be the person we're most capable of being? To connect with others and have something like this to share, because we were able to achieve it ourselves?! If you're drawn to this subject, it's definitely worth your time. After the first hour or so, everything useful had been said. After that it was literally 9 hours of stories that are examples of the principles. Thia book could have been cut in half and still had been too long. Why one star? This is not unabridged. The eleven page Appendix, "A Reader's Guide to Using These Ideas" is missing. The Appendix *is* the conclusion, and without it, the book's lessons do not coalesce. The performance is strong, if a bit chipper for a morning commute, and Mike Chamberlin is a good companion after a cup of coffee. The story is strong. A clear, simple structure, but it may trick readers into skipping parts, especially the last section, in which a pivotal moment in American history is linked to the founding of the MegaChurch (and in the hands of lesser man than Rick Warren, it is a How To for founding a cult). The last chapter stumbles into lumpy epiphanies. One paragraph (p 271) begins, "That, in some ways, the point of the book." I enjoyed it a lot. Three days and it was gone. I looked at my life-- my mistakes and the wright doings. And i had to agree with the author. Habits matter more than we know. What a marvelous book! My husband and I listened to it over about 7 days and each night we would discuss what we had heard the night before at length. We learned to observe our own habits and think about which ones we wanted to change. The story is engaging; at times funny and other times tragic but the effect keeps the listener interested. The author builds each chapter and the listener is satisfied at the end. I recommend this book to anyone who is curious about why we do the things that we do. Also, if you are a reader of Drs. Dan Arielly and Daniel Gilbert you will appreciate this book. 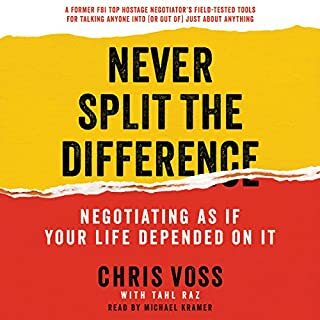 I always judge the value of something by what I have learned from it and I have learned a lot about my own habits after listening to and thinking critically about the points made in this book. What insight do you think you’ll apply from The Power of Habit? I have begun creating routines and sticking to them. It's work at first, but the book provides inspiration and insight so that you keep at it. Really enjoyed this book. Very different from the usual self-help books. The studies, themselves, were pretty good and interesting. However, the writing itself got a little repetitive, going over the points over and over again. I also disliked the spreading out of the lead story of each chapter, structurally. The facts presented were a bit reductive. Both Habit and Culture are a bit more complex than presented. I guess for a layman, the book is good, but for someone looking to delve into the subject of habit as a psychological function then it falls short. What the book actually does is explain habit to a layman and a bit about what makes them form, and so on. It's not self-help. It is not highly academic. In trying to make it simpler it does make a few minor factual errors. Culture is not a series of habits. And Habit is more complex than just culture. Separate things. For that, I removed two stars. I liked the reading a lot though. It was very well done and pleasant to listen to. 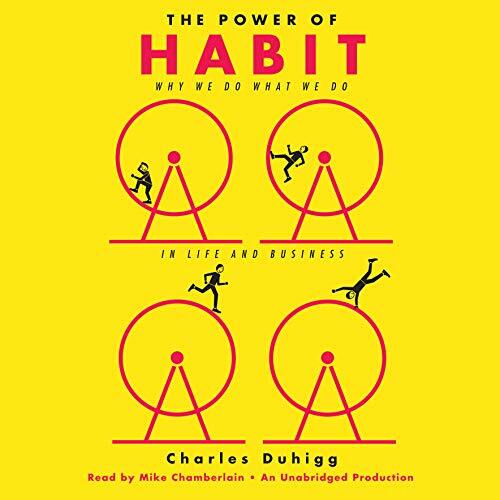 Charles Duhigg is a reporter for the New York Times and author of The Power of Habit: Why We Do What We Do in Life and Business. I picked this volume up out of sheer curiosity and was well rewarded for my reading time. This is an entertaining and informative book. The book falls into three major sections. In the first, Duhigg brings readers up to speed on current research about individual habits. Wait! Don’t let that discourage you from turning some pages in this book. It is really helpful material. In the next section, Duhigg applies what we are coming to understand about the development of habits to organizations. The most helpful chapter in this section concerns how Starbucks has institutionalized habits of success. In the final section, Habits of Societies, Duhigg describes how the Montgomery Bus Boycott came to be and how the pastor of Saddleback Church came to use habit to build his congregation. Both chapters are well worth the price of the book. Readers hoping to know how to break bad habits will not find direct advice. However, the book outlines how habits are formed and much can be gleaned from that perspective. I hope that Duhigg will follow this volume with others. His writing style is very good and his preparation is evident. The reading of Mike Chamberlain is excellent.